Cecilia Enjuto Rangel, Associate Professor of Spanish in the Romance Languages department, has been awarded Excellence Award for Outstanding Mentorship in Graduate Studies this year. 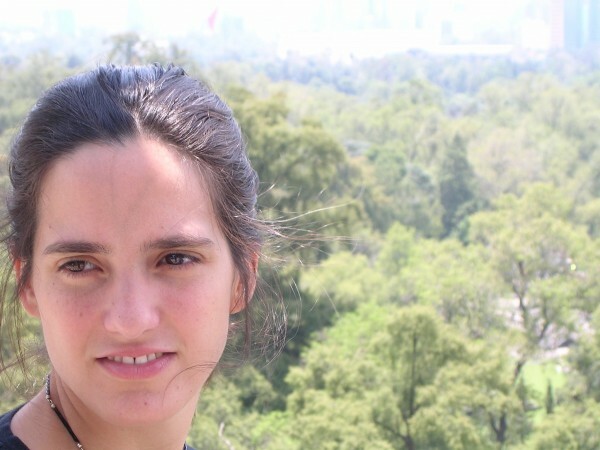 Enjuto Rangel consistently supports not only her advisees, but all Romance Languages and Comparative Literature students by putting important scholarship, grant, and internship opportunties within reach. 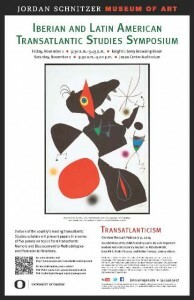 Additionally, Enjuto Rangel has provided unique mentorship opportunities by bringing academic and artistic events to campus that keep graduate students up-to-date on scholarly advances and to meet influential academics and artists in the field. A common theme in Enjuto Rangel’s nominations was her generosity with her time. “We want to emphsize that Prof. Enjuto Rangel has markedly influenced our graduate study experience by giving a very precious and scarce gift among professors: time,” her nomination wrote. Elliot Young is an Associate Professor of History at Lewis & Clark College. He specializes in Latin America, the U.S.-Mexico border, and transnational history. His current research focuses on Chinese Laborers in Latin America. Why and how do ruins serve as metaphors for the poetic critique of modernity, the past and the present? 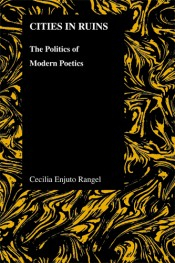 In her new book Cities in Ruins: The Politics of Modern Poetics (Purdue University Press, 2010), Assistant Professor of Spanish Cecilia Enjuto Rangel explains how poets like Charles Baudelaire, Luis Cernuda, T.S. Eliot, Octavio Paz and Pablo Neruda uncover ruins to reread and rewrite their own historical and literary traditions. For Enjuto-Rangel, poetry about ruins is part of the modern critique of progress, of modernization, and of the brutality of war. The topic of the contemplation of the ruins has roots in the Classics, and is seen time again during the Baroque and Romantic periods, both in Europe and Latin America. Cities in Ruins, however, is the first serious study of modern ruins in modern poetry. In Cities in Ruins, Enjuto Rangel shows how unlike their Romantic predecessors, who tended toward melancholic representations of the past, modern poems historicize ruins, avoiding a narcissistic reading of destruction. This “awakening” to history can also be tainted by urban traumatic experiences and the marginalization of both material and human ruins from the modern city. Cities in Ruins contributes to the redefinition of the field of Transatlantic Studies, and focuses on the particular and crucial role of poetry as a genre that allows for the questioning of nationalistic boundaries. Accordingly, Enjuto Rangel’s book looks at poets from Spain, Latin America, France, and England.